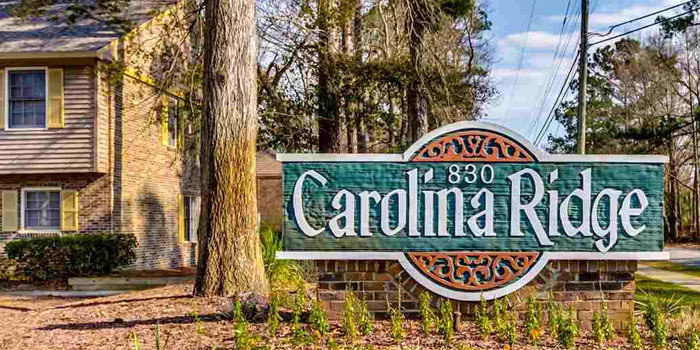 Carolina Ridge was built in the 80's but has been immaculately maintained and renovated to still be some of the most gorgeous brick condo homes in Myrtle Beach. Located off 44th Ave North and Grissom Parkway, these beautiful condos are in the heart of the action - close to Broadway at the Beach, the hospital, and the beach as well! Residents enjoy a community pool, tennis courts, picnic area, several nearby golf courses, and scads of convenient restaurants. Units come with two or three bedrooms and are priced low enough for any budget. Some are even under $100,000, but the average price is about $125,000. That's a lot of condo for the money! These are some of the best condos for primary residences, and kids will attend Myrtle Beach Elementary, Middle, and Myrtle Beach High School. They will have a very nice park and playground as well. The units all have closed-in patios. For more information or to see some of these beautiful condos, give us a call. You will love the price and the location of these Myrtle Beach condos!